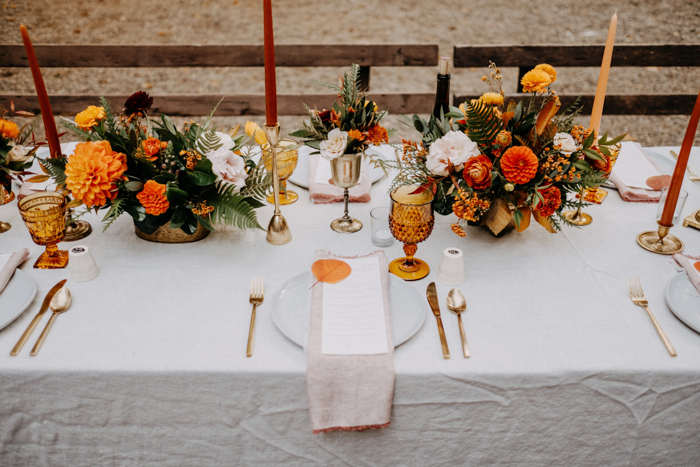 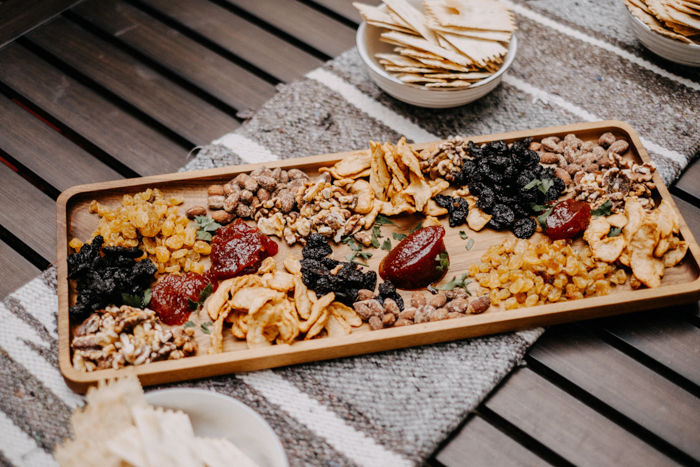 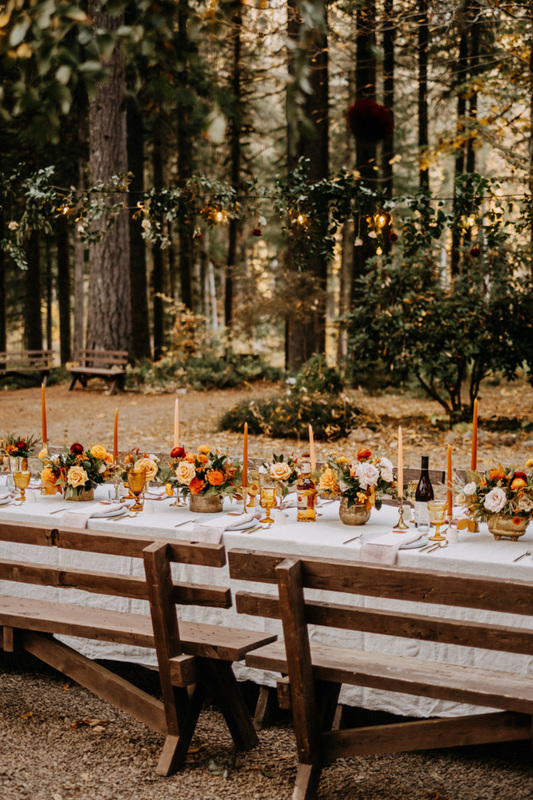 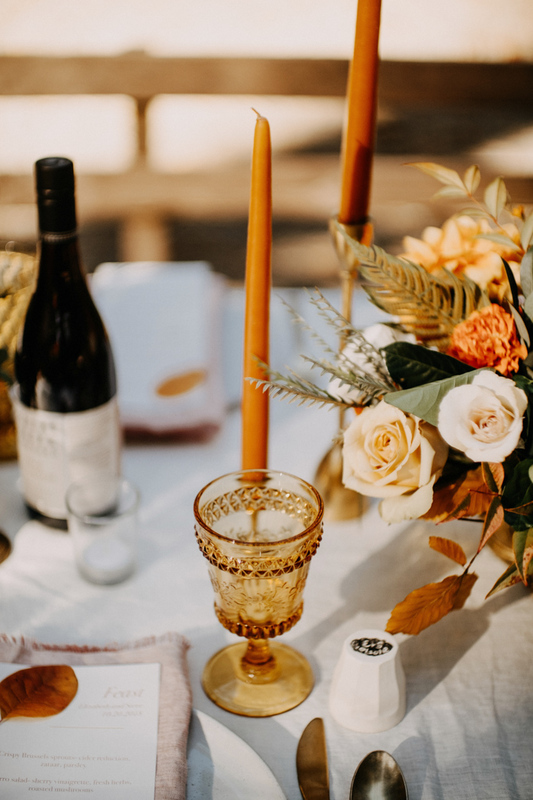 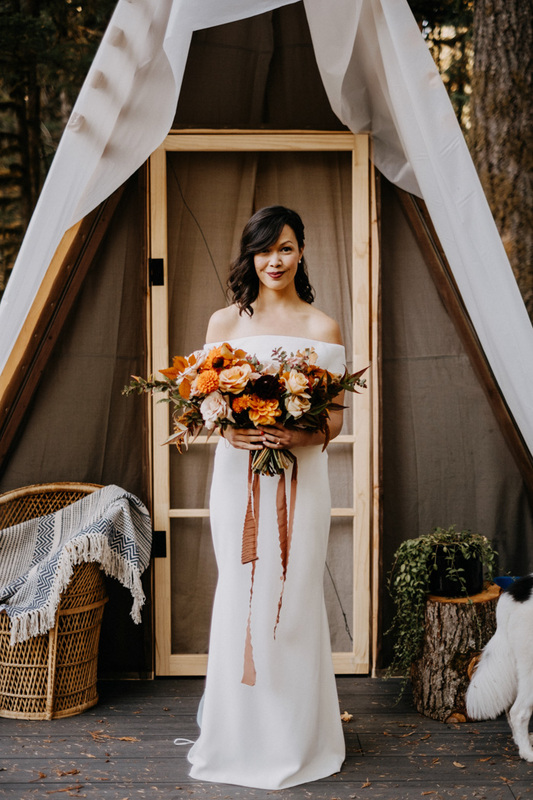 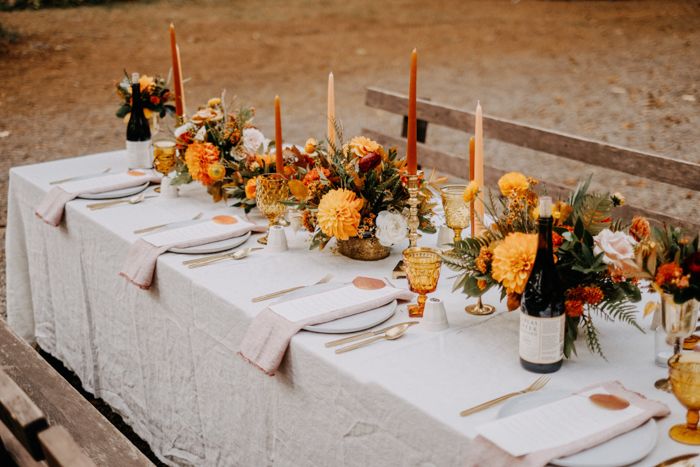 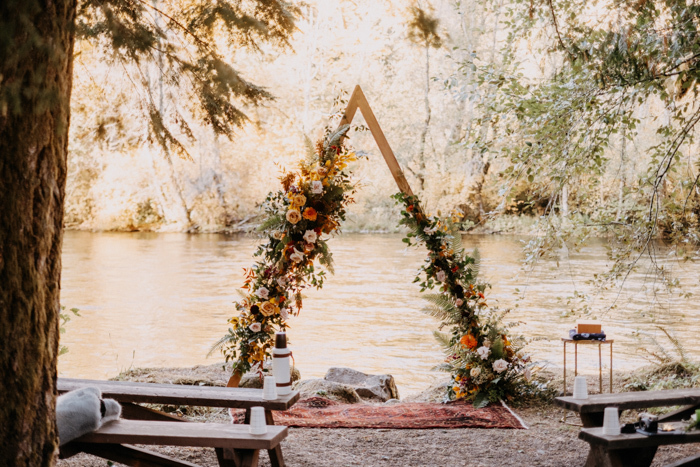 If you were hoping to lose yourself in a dinner party in the forest filled with the prettiest autumnal color palette and the most charming DIY details, you’re in luck! 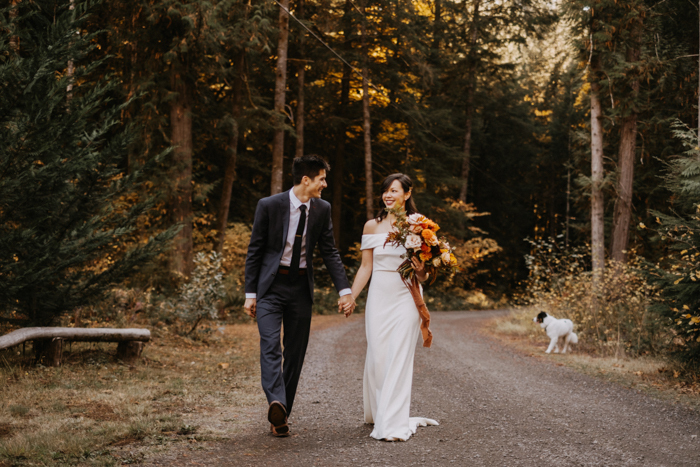 Elizabeth and Steven’s intimate wedding at Loloma Lodge had all that and so much more. 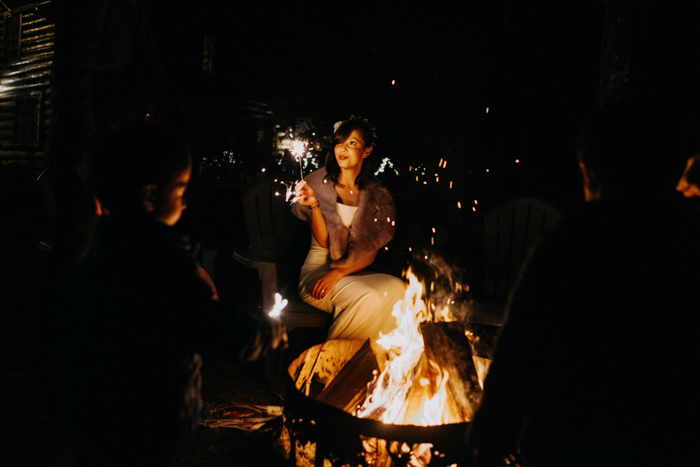 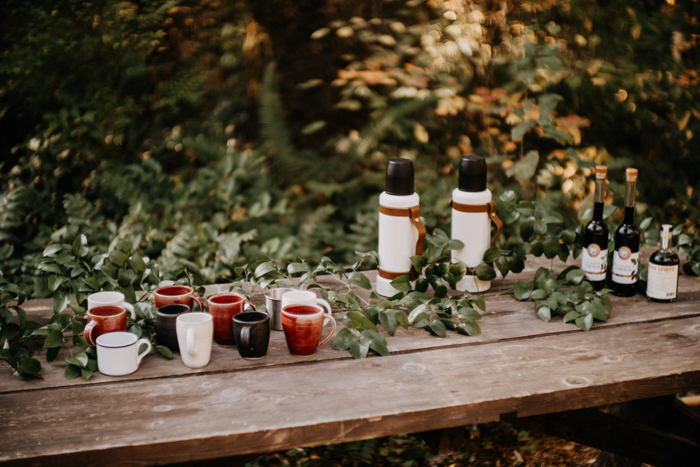 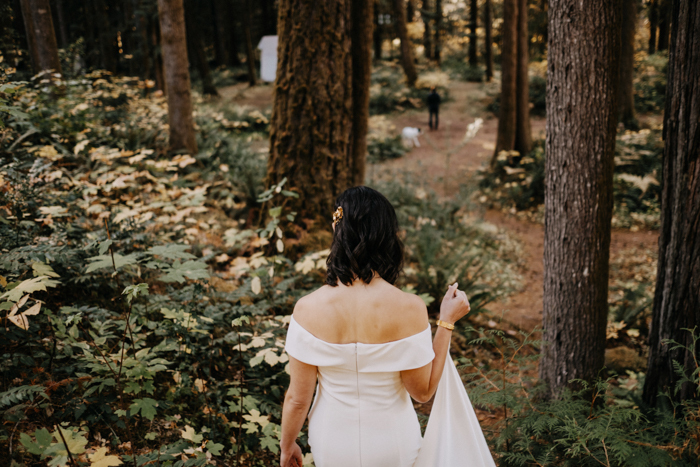 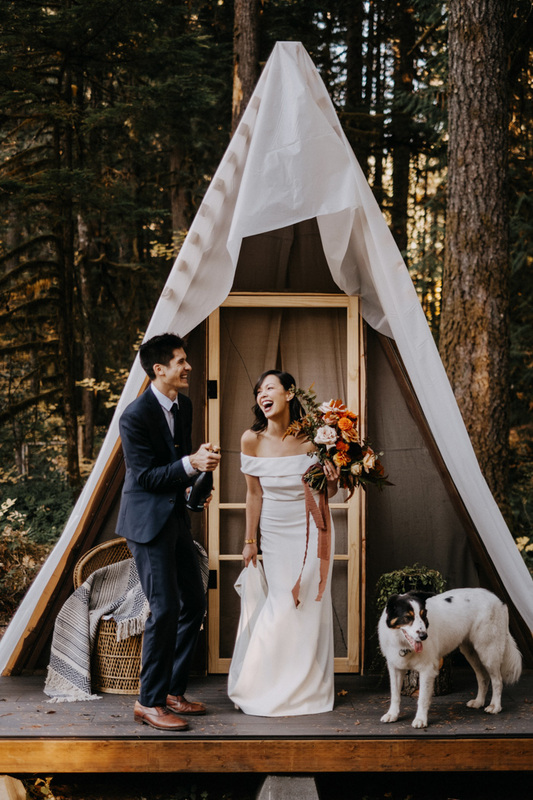 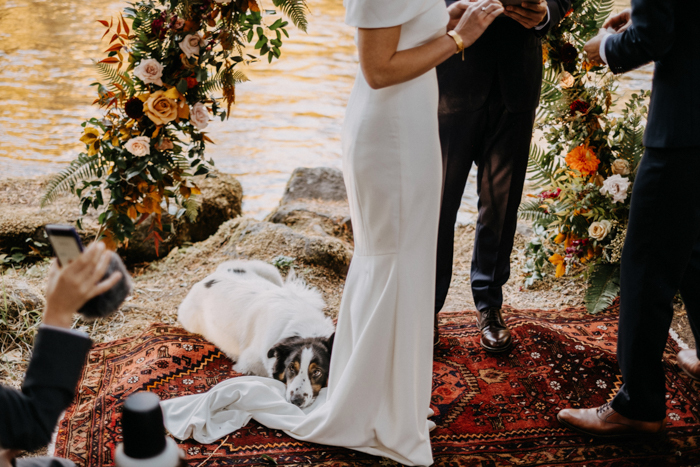 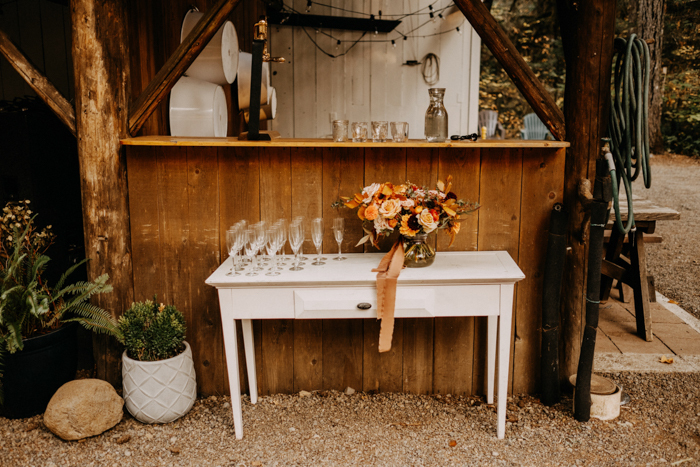 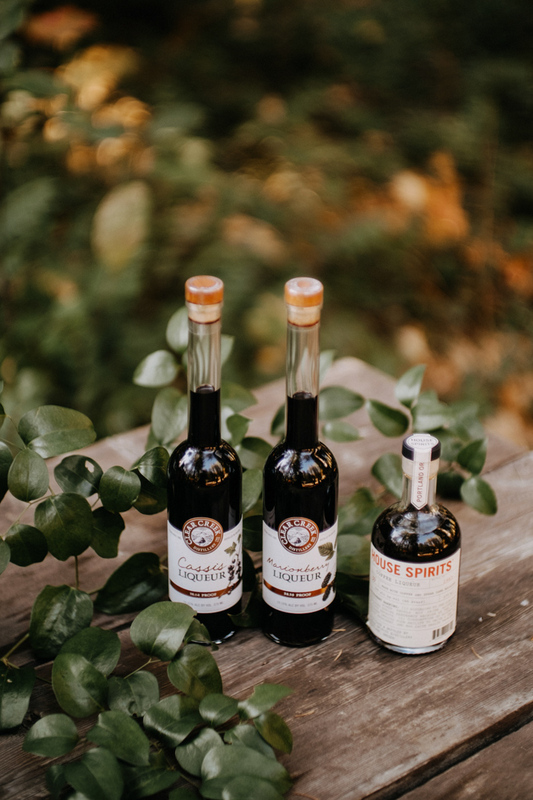 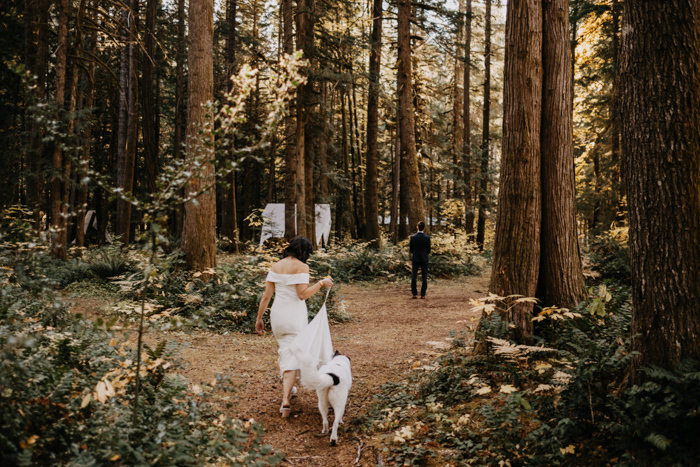 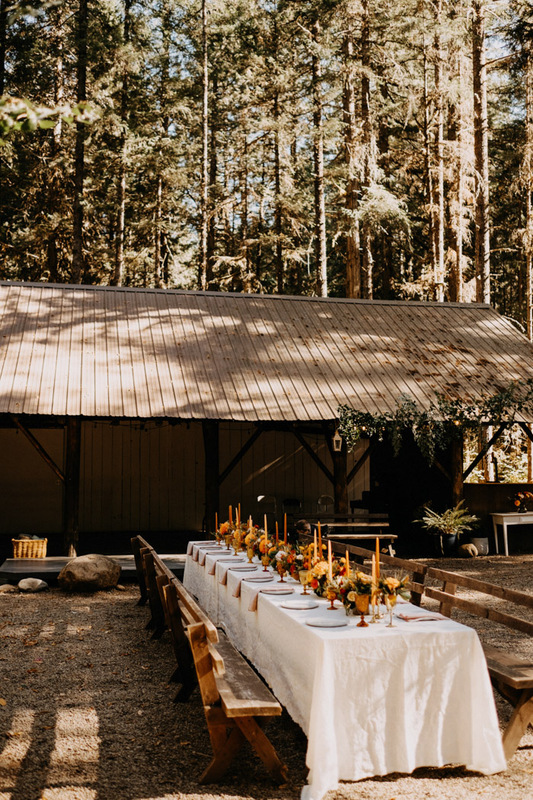 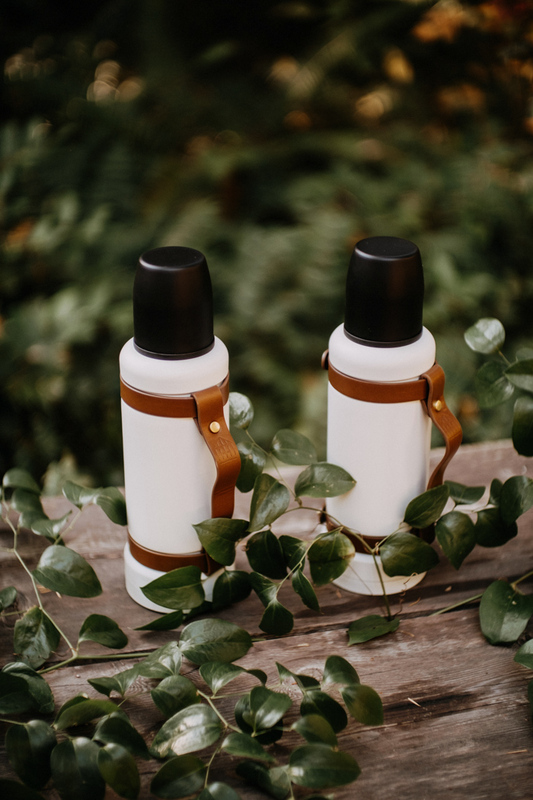 The couple took their nearest and dearest into the forest for a retreat-style wedding weekend, and Mae & Co. Creative helped bring their relaxed, al fresco dinner party dreams to life. 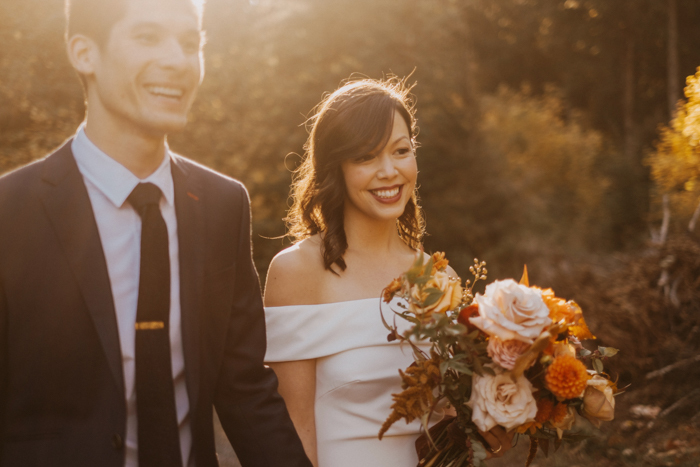 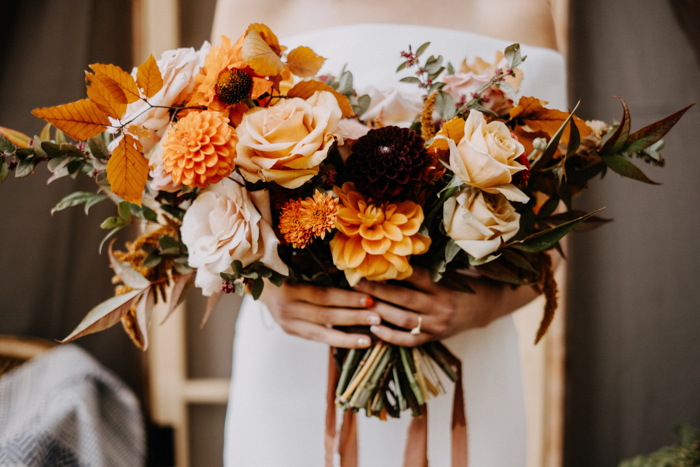 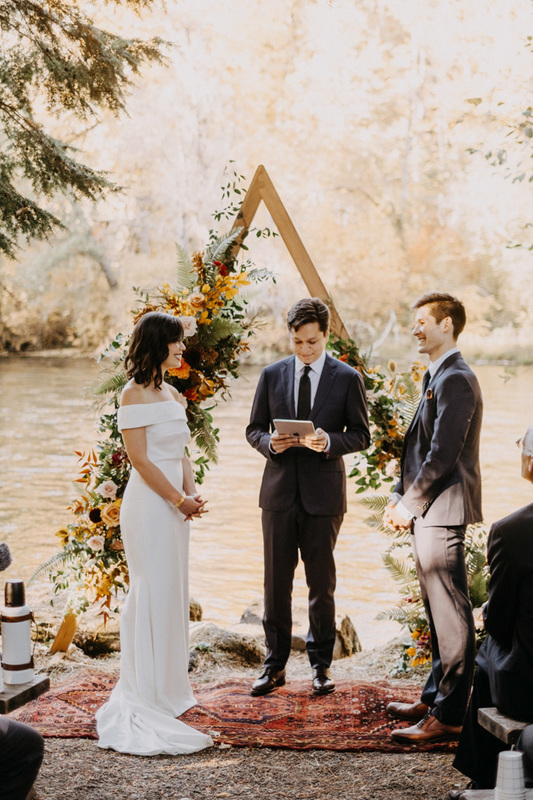 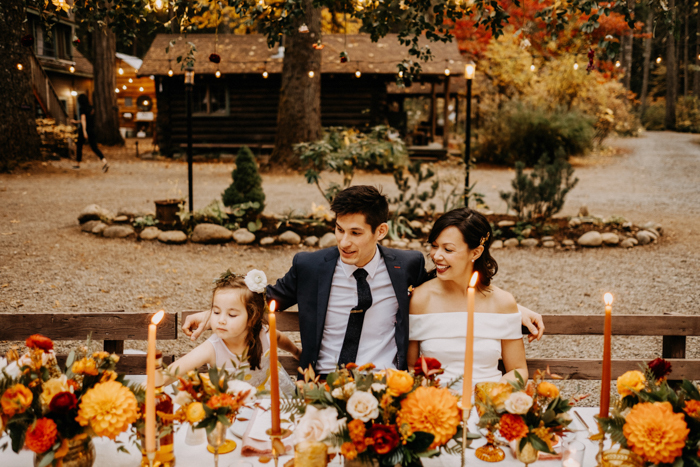 This wedding had everything we love most about fall weddings, including an autumnal orange and red palette, lush florals designed by Goodseed Floral, cafe lights strung through the trees, and sweet details handmade by the couple and their family. 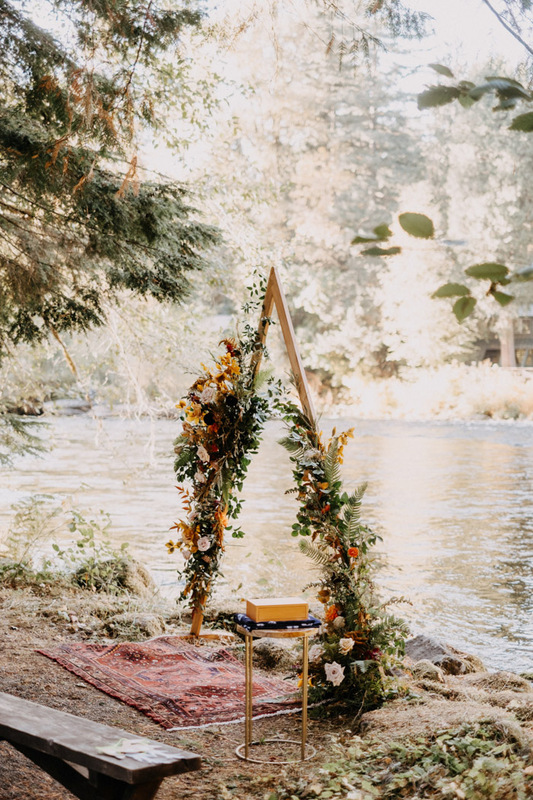 Oh, and did we mention it all took place next to a river? 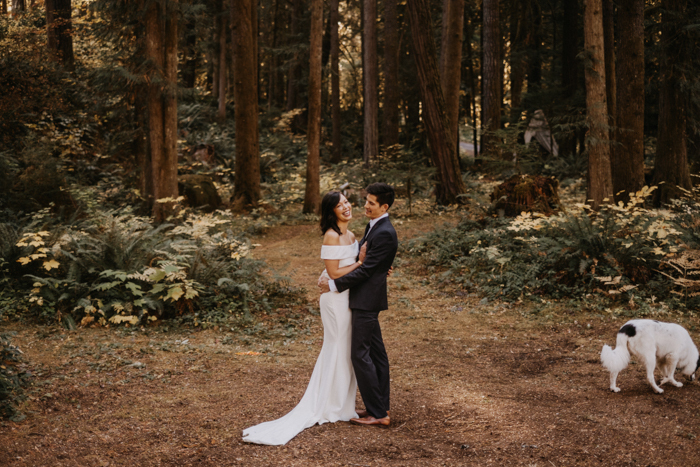 Yes, it was as dreamy as it sounds, and Dylan M Howell Photography captured it all in remarkable detail! 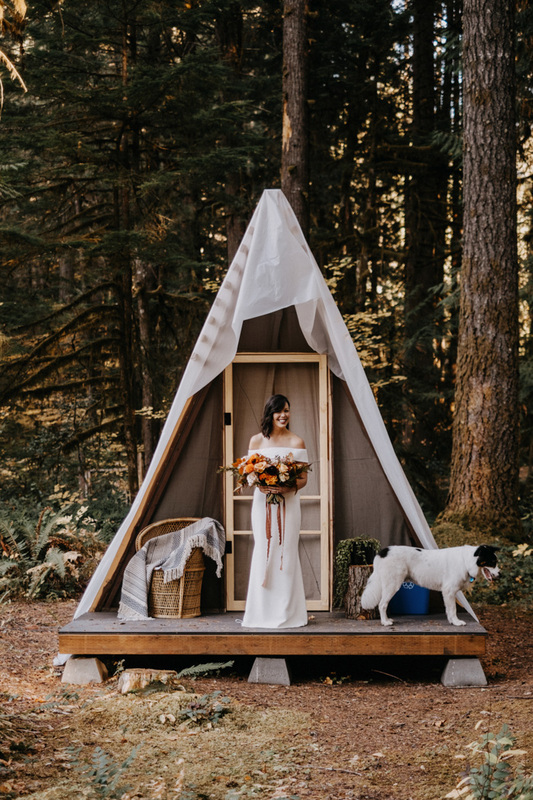 We both loved the idea of having a weekend retreat for our families—somewhere we could all relax, unwind, and reconnect. 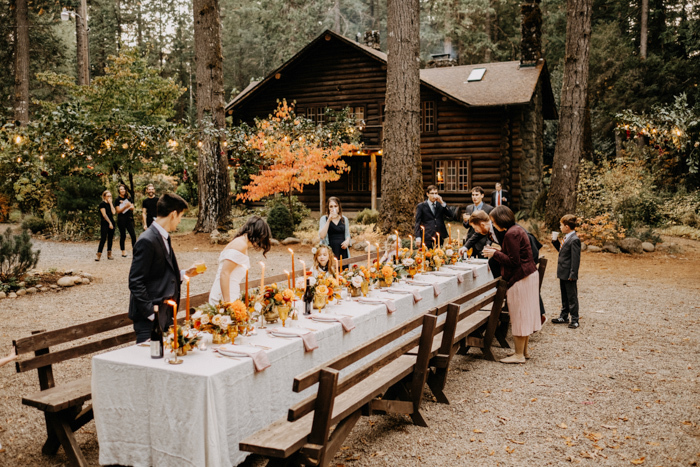 Loloma Lodge was perfect. 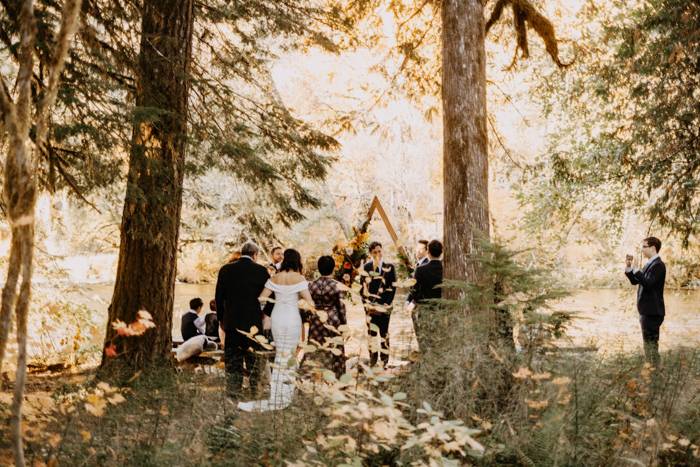 The property is stunning and the minute we saw the ceremony site next to the McKenzie River, we knew it was the right place. 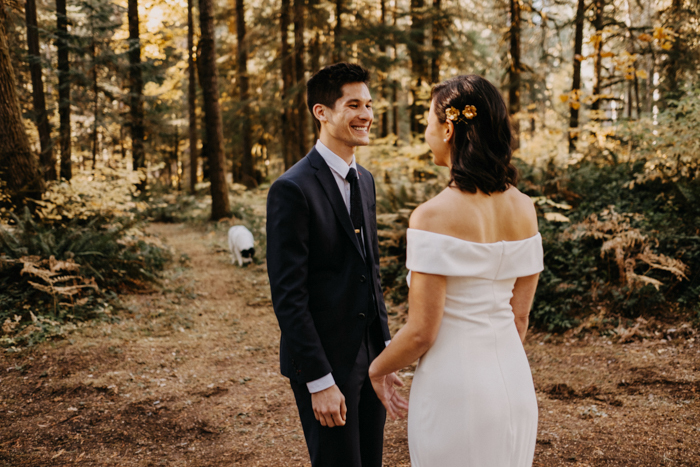 On our wedding day, we hiked to a waterfall, got ready in the forest, were married next to a river, and roasted marshmallows over the campfire. 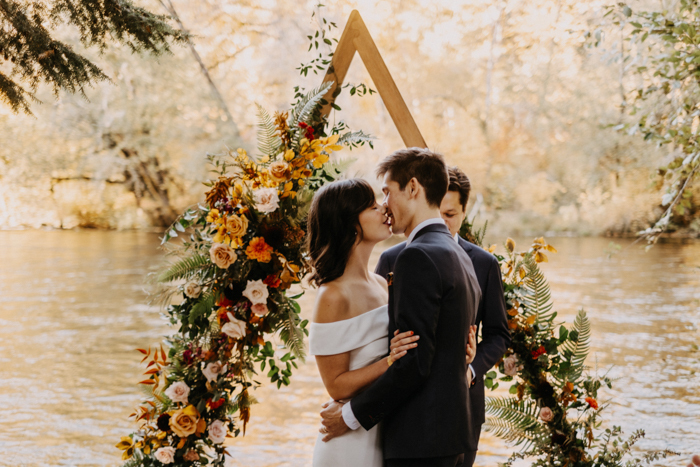 Not many places can give you all of that! 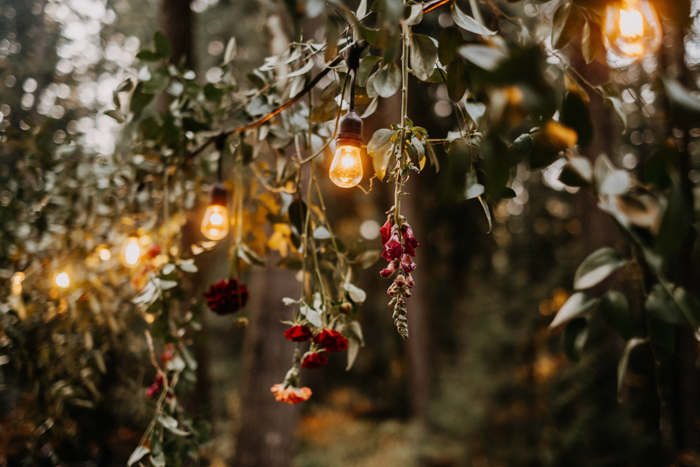 We will definitely back. 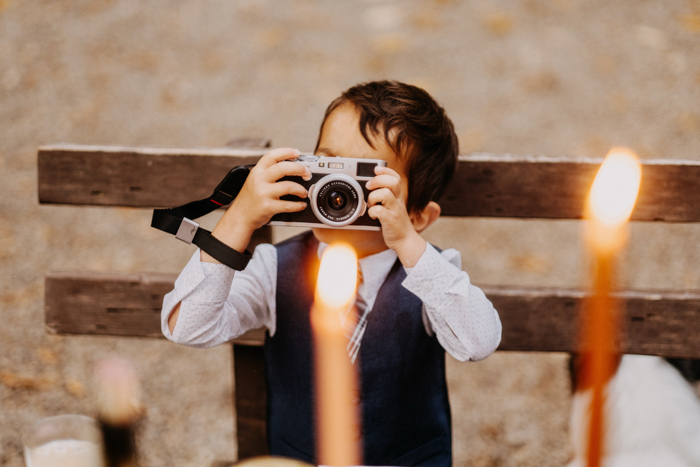 Our best advice is to focus on the details that matter most to you! 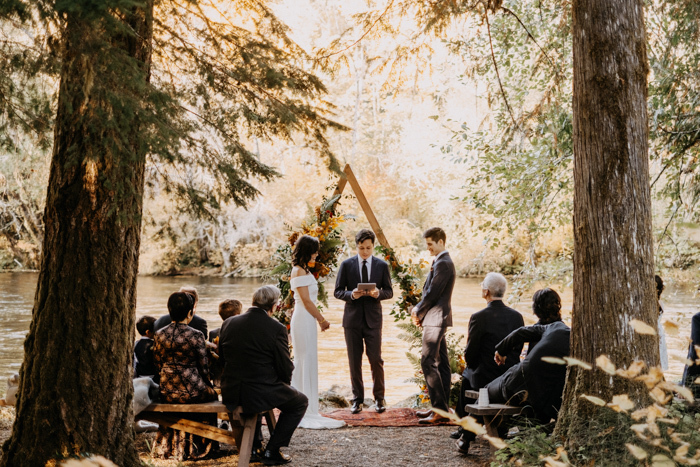 Many people told us that it must be so low stress to plan a small wedding but there are still a lot of elements to think through. 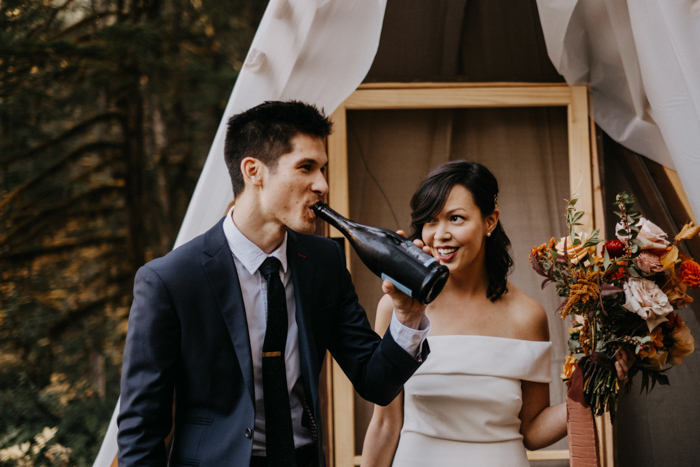 It’s okay to forgo traditional wedding details if they don’t feel right. 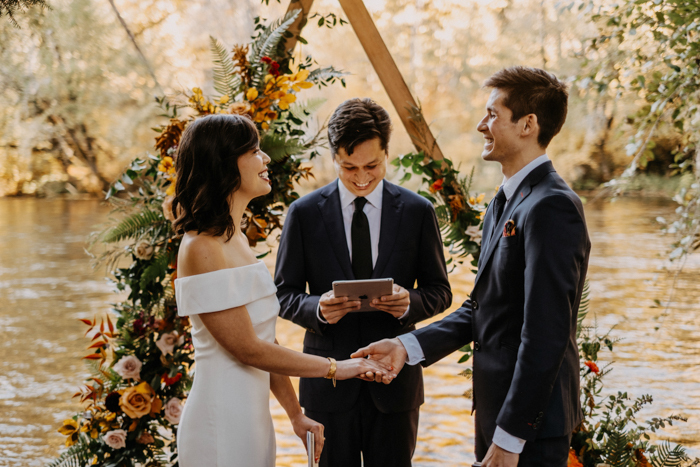 We were so fortunate to find an incredible team to help make our wedding come together. 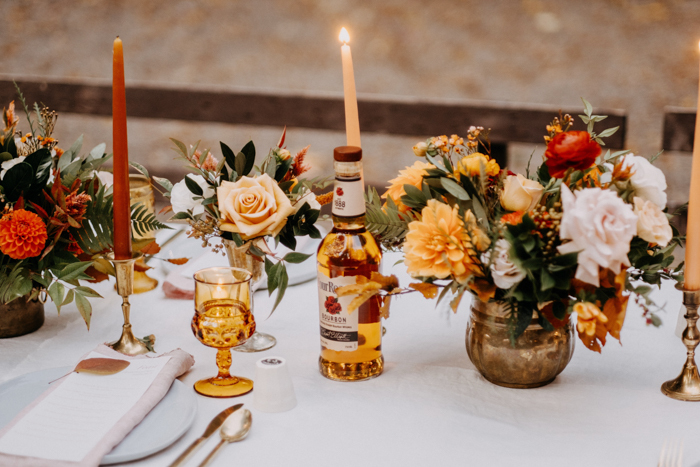 We wanted it to feel like the best dinner party – a night that was a celebration of our relationship and a thank you to our families. 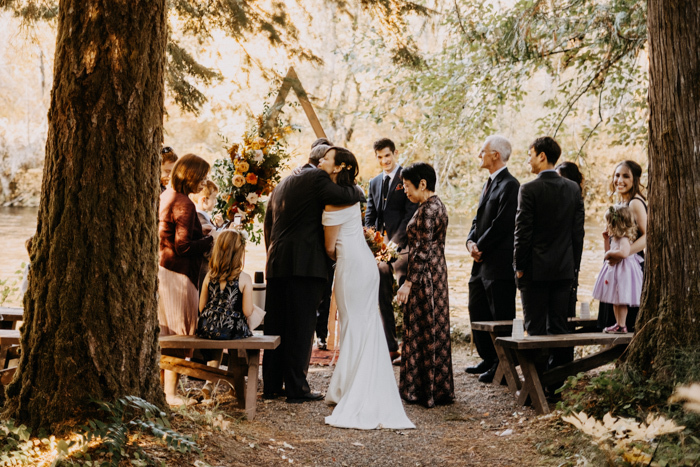 Manda really embraced our concept — she puts so much love into making small weddings feel special. 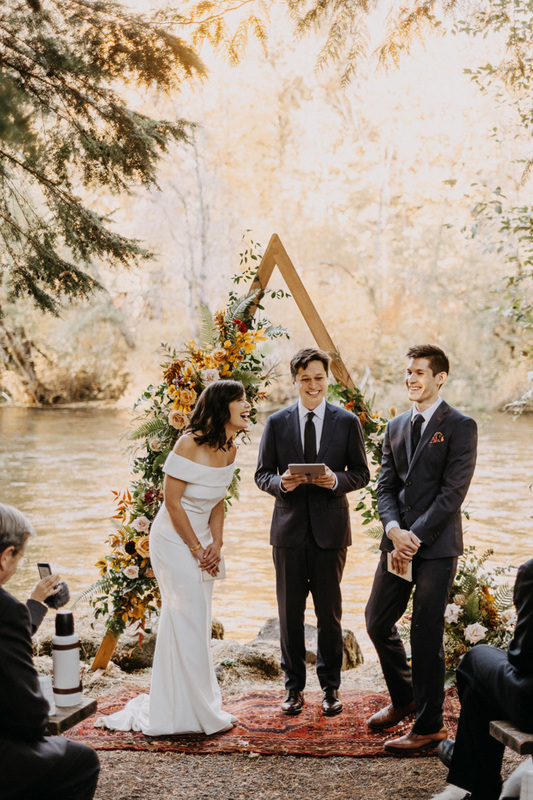 In the end, the whole wedding felt really personal: Steve made our arbor, I sewed our napkins, my Mom handmade dozens of ceramic cups for the dinner and my brother officiated our ceremony. 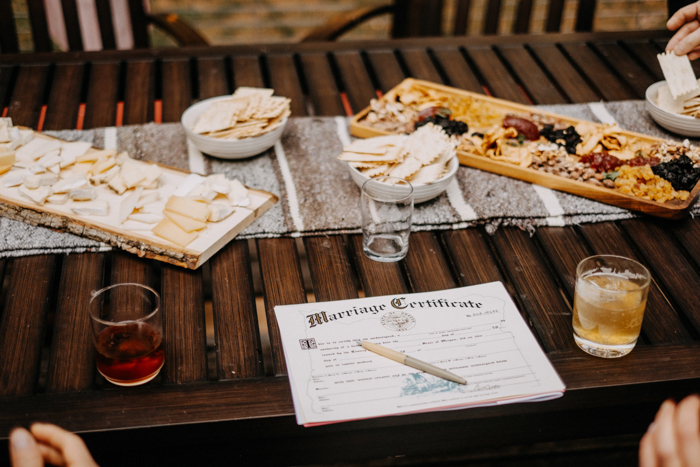 Our friend Cody gave us this beautiful handmade wooden box which we used to hold our vows and rings. 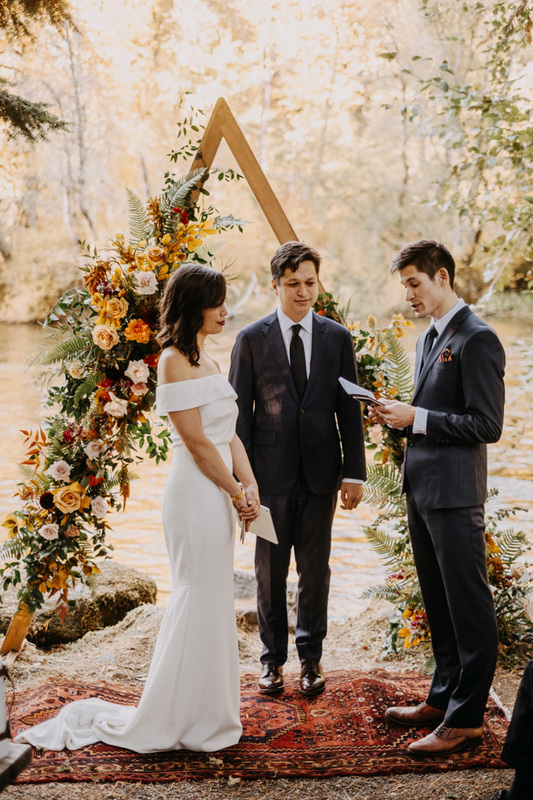 So many people put such love into our wedding and in the end, we couldn’t have asked for anything more.